Again. Again we are heartbroken. Again a preventable tragedy. How many more children will be murdered before lawmakers take action? How many families destroyed and communities shattered? Our thoughts and prayers are with the Santa Fe victims and their families, but thoughts and prayers are not enough. Our students are demanding action. The families of victims are demanding action. It’s time to change our laws to protect our children. We cannot accept the reality that America is a place where we allow our children to be slaughtered and do nothing about it. We must come together as Americans and do everything we can to ensure that horrific attacks like this become a thing of the past. 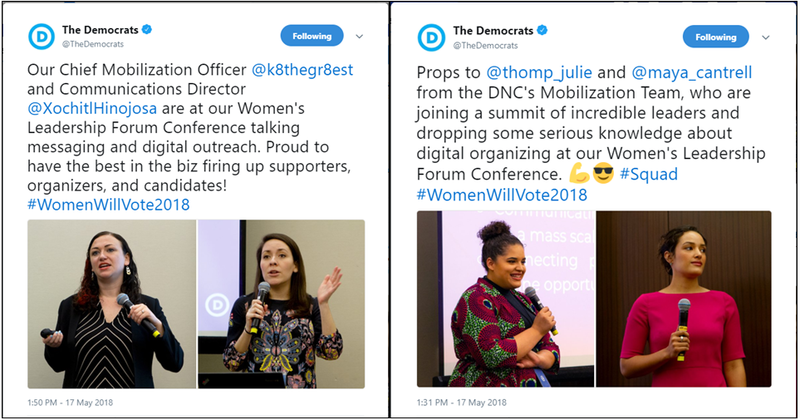 In happier news, our team put together a two-day conference this week to celebrate women in the Democratic Party featuring speakers like Kirsten Gillibrand, Sally Yates, Maxine Waters, Pramila Jayapal, Grace Meng, Jennifer Granholm, Jason Kander and many more. We even had a surprise visit from Hillary Clinton to kick things off with a reminder that our future is in diversity and inclusivity! 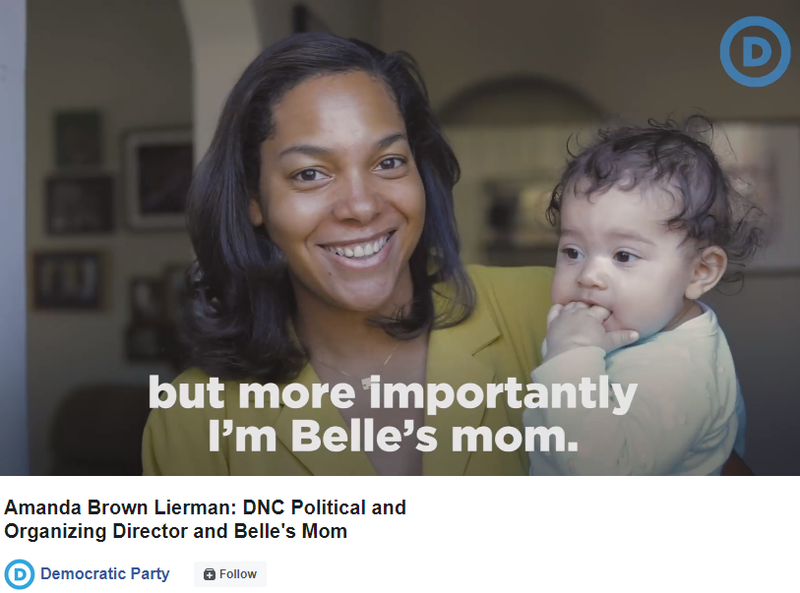 It was another exciting Election Day for Democrats on Tuesday, and Democratic women led the way. In Nebraska, Jane Raybould, Jessica McClure, and Kara Eastman defied expectations and won their primary races. And Nebraska Democrats had more than 600 Democrats running across the state in this week’s primaries. In Idaho, Paulette Jordan won the primary and is on her way to becoming the nation’s first Native American governor. In Oregon, Kate Brown, Jamie McLeod-Skinner, and Suzanne Bonamici won their primaries, and Val Hoyle was elected commissioner of Labor and Industries. And in Pennsylvania, a state that has an all-male congressional delegation and hasn’t sent a woman to Congress in years, seven women won Democratic primary races. Helen Tai flipped Pennsylvania’s 178th state House District in a special election – an area represented by Republicans for 35 years! 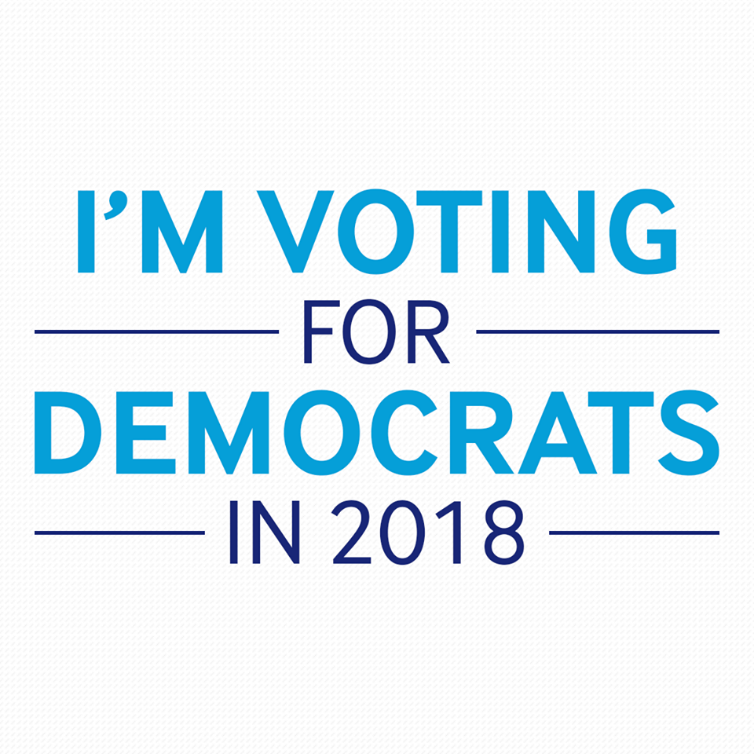 We also had two major legislative victories this week with the defeat of the Republican farm bill on Friday, and the passage of a Democratic net neutrality bill in the Senate. The GOP farm bill was a bad bill, plain and simple, and its defeat is a victory for the American people. But make no mistake, 198 House Republicans voted to take food off the tables of hungry families — including seniors, students, children, people with disabilities, and veterans. The farmers of America and the millions of families they feed deserve better. And while Republicans continue to put the wallets of big telecom companies and their lobbyists over the best interests of their constituents, Democrats believe that an open internet is fundamental to free speech, innovation, and a competitive economy. Democrats will fight harder than ever to keep the internet a level playing field, where the reach of one’s voice is determined by quality of ideas — not by a handful of CEOs. This week, thousands of North Carolina teachers rallied to demand a pay raise and more funding for education. 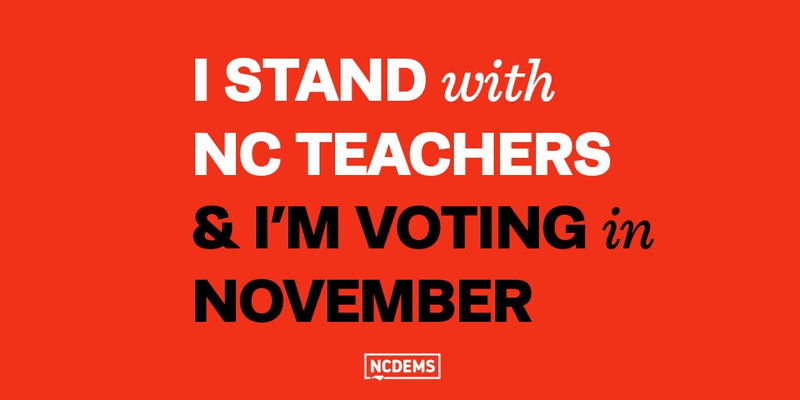 Democrats are proud to stand in solidarity with the thousands of North Carolina teachers organizing and raising their voices to demand better wages and more resources for their classrooms. No teacher should be forced to work a second job to make ends meet. No teacher should have to pay out of pocket for school supplies. But instead of listening to educators, Republicans in North Carolina have prioritized tax cuts for corporations and the top 1% time and time again. Governor Roy Cooper and Democratic legislators are ready to act now for better schools, competitive pay, and an education system that prepares students to compete in the modern economy. Our students and teachers deserve nothing less. As Muslim Americans join Muslims around the world to observe the holy month of Ramadan, celebrate the revelation of scripture, and engage in peaceful reflection and faithful fasting, it’s an opportunity for Americans of all backgrounds to celebrate the religious freedom we all share. We are also ever mindful of those Muslims throughout the world who face violence, political upheaval, and civil unrest due to religious conflict. Democrats believe that our diversity is our strength. We celebrate the fact that Muslim Americans are our friends, neighbors, and family members, and that their contributions to our culture, commerce, and public life have profoundly enriched our nation. We reject the vilification of Muslims and oppose efforts to ban people of any faith from entering our country based on their religion, and we will do everything we can to protect religious minorities and the fundamental right of freedom of religion. We wish Muslims everywhere a peaceful, safe and blessed Ramadan. Ramadan Mubarak! 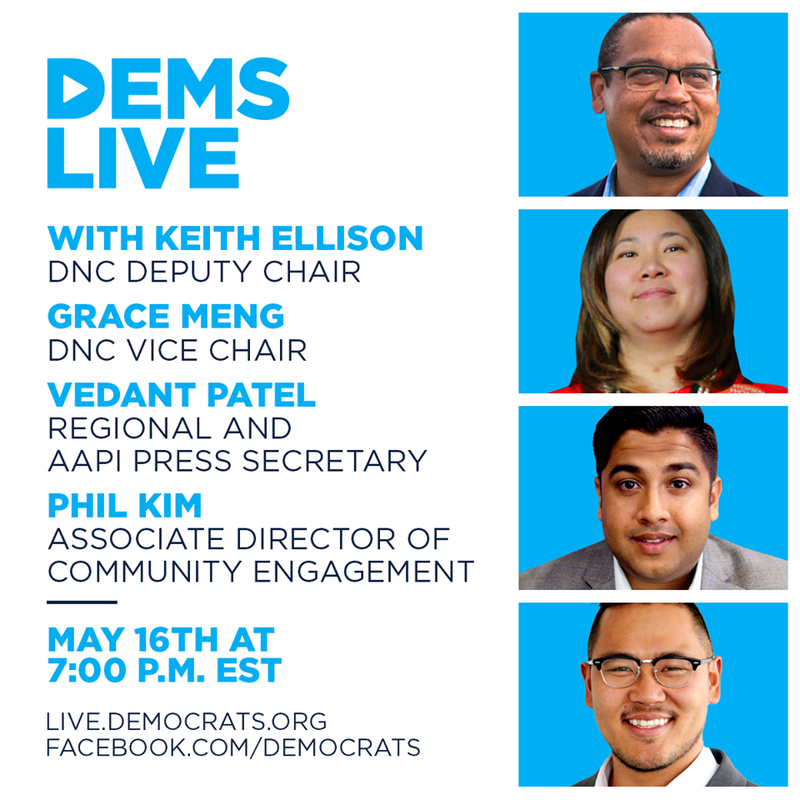 Finally, on Dems Live this week, DNC Vice Chair Grace Meng, DNC Deputy Chair Keith Ellison, and DNC staffers Phil Kim and Vedant Patel talked about the power of the AAPI community and the importance of getting out to vote in 2018, 2020 and beyond. Check out the latest episode here.